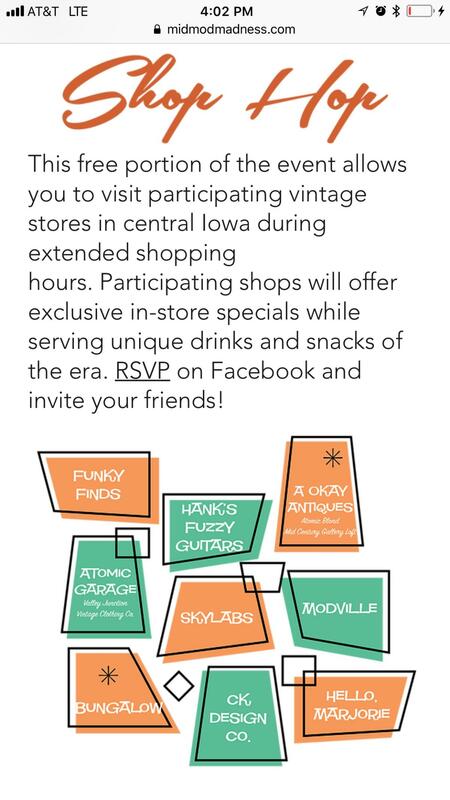 Our annual event Mid Mod Madness this year will feature a mid-century home tour, vintage shop, and retro music event! Come out on October 6 for a full day of vintage fun! The shops will be open 10am-7pm. 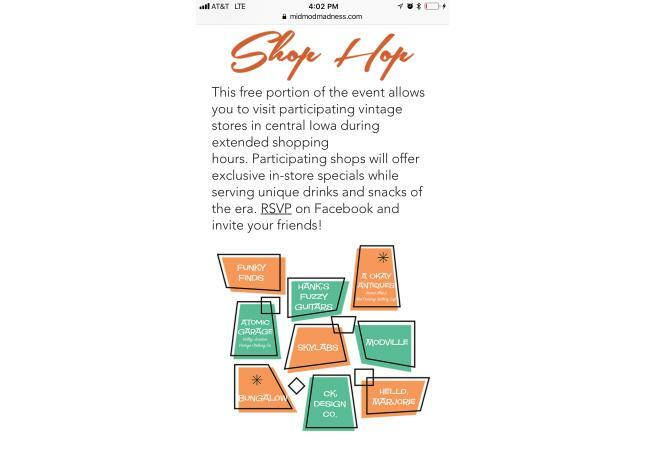 If you get a punch card and visit all the participating shops you can turn it in for a free drink at Hello, Marjory during the after party 7pm-9pm. Visit https://facebook.com/events/244132252976729 for more information!